Continue on your college path to an amazing career. Iowa State’s engineering program has a wide range of resources to help you succeed in your chosen field of study including engineering career services, professional and student organizations, and academic advising. Resources are offered on this page to assist you in your transfer process. Explore your options in our 12 engineering degree programs, and use these transfer student resources to plan ahead for a successful transition. Community College Partnership Program Available to students currently attending an Iowa community college. 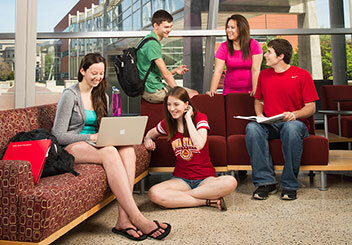 A free program to enhance a successful transition to Iowa State. Use this often to see which classes are required in engineering and which ones are offered at your Iowa community college.